Bought a new range or planning to? Planning an addition to your house? Building a new house? 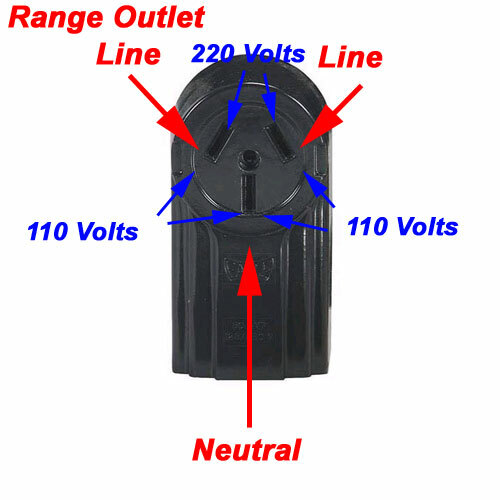 These are just a few of the ways you could run into converting from a 3- to 4-wire range outlet. Whatever your situation, this illustrated anatomy of electrical outlets for ranges, ovens, and stove should help you see what’s going on. Here’s the older style, but very commonly seen 3-wire range outlet. All the terminals are identified here. Click the pic for the larger view. 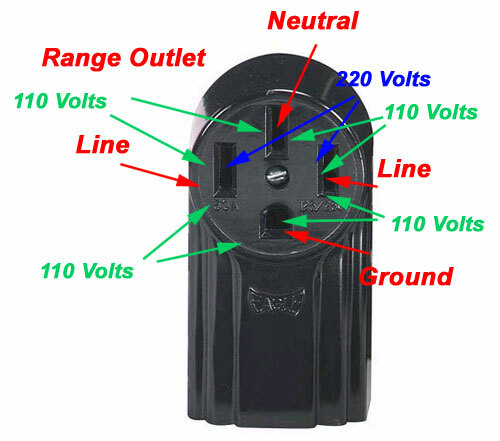 This the the 4-wire outlet required by the newer editions of the National Electrical Code (NEC). Click the pic for the larger view. More help, including parts for all brands and models, ratcheer. If you’re still confoosed, come start a new topic in the Kitchen Appliance Repair Forum. This entry was posted in Oven Repair, Range Repair, Stove Repair on November 29, 2007 by Samurai Appliance Repair Man.